For all the pilots out there...Think back to those first flights, learning how to get down the runway center line and get the plane in the air then having to go through the checklists and land that bird. Overwhelming at first for all of us, I'm sure. Remember how tired you were after a lesson, not physical tired, brain tired, mentally wiped out from trying to absorb all the information. Now with that thought process engaged, imagine your brother as your instructor and learning 'on the fly' to Alaska, pun intended. Yikes! Troy Hamon captures the in cockpit pressure, humor, brotherly harassment (in its own special way) that only one with a brother can understand. 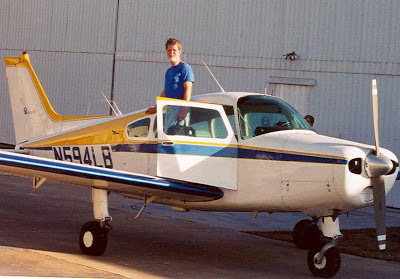 Flying his 1951 PIPER PA-22 Tri-Pacer with his instructor and brother Quinn in the right seat they set off on the adventure of a lifetime. This is a very good read. I found myself more than once thinking, been there, understand those thoughts, how does that instructor make it look so easy. 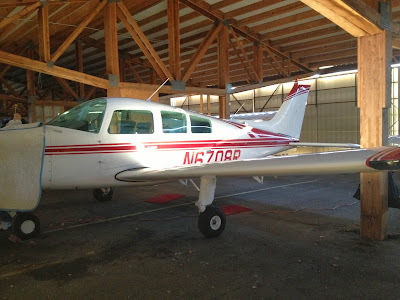 It was an interesting way to do the Private Pilot training and surely provided memories to last a lifetime. I'm looking forward to Troy's future writing. Jeff had sent an email out Yesterday, early morning. "Guys, the weather forecast looks near perfect for this weekend. I'm planning to fly with someone here in Richmond and he suggested flying up to Kay's in Cambridge. It's about an hour flight for me. Anyone interested in meeting up? We will probably plan to be there right around 10 AM." I responded that I would be there since Mary and I cancelled the overnight to Myrtle Beach, SC. Wx is looking bad Sunday for South Carolina and even though I am current I am not proficient enough to tangle with what they have in store. Saturday Night: Mostly cloudy. A chance of rain this evening. Rain after midnight. Lows in the upper 40s. East winds 5 to 10 mph with gusts up to 25 mph...increasing to southeast 15 to 20 mph after midnight. Chance of rain 90 percent. Sunday: Scattered thunderstorms. Rain in the morning...then showers likely in the afternoon. Some thunderstorms may produce gusty winds. Breezy with highs around 70. South winds 20 to 25 mph... becoming southwest 15 to 20 mph in the afternoon. Chance of rain near 100 percent. The plan was to be at the airport around 8 am then get 08Romeo ready to fly. I took on fuel on my last flight so I was ready to go after my pre-flight. Mary decided to stay home, not that she was dealing with a migraine but instead she broke out in hives, who knows. I was on my own and all be it rare that I don't have someone in the right seat I was looking forward to just me and the plane. After my run up I launched from runway two four and cranked up some oldies. Yes, I was singing along, mixing in some slow flight and a steep turn or two as I took in the 50+ mile visibility. As I passed 58M, Elkton MD, I could look to my left and see the tip of Lewes Delaware at Henlopen, just awesome! I made my calls and entered a left base for landing on one six. I had a Bonanza behind me working his way into the pattern number two to land. A made a nice landing followed by a turn out on the midfield taxiway and point 08Romeo towards Kay's ramp. I parked next to a Baron and the Bonanza parked next to me, a Beechcraft reunion of sorts. As I walked towards the terminal I saw 93Zulu cross the numbers and touch down, nice landing Jeff! It was a good breakfast and Jeff's friend from KOFP-Hanover picked up our check, Thanks Scott. It was great to catch up, and of course talk airplanes and flying. We missed Frank D and Mike B, I hope your ears were burning guys. With Jeff back in the 'area' (Richmond) I see many more meet ups in the future. Jeff and Scott filed, I just made the hop VFR. I did monitor Dover and Philly as I worked my way north. The visibility was perfect today. I could see Salem nuke planet from Easton airport and had a clear view of the Baltimore skyline too. As I worked my way north passing Ridgely, KRJD I could see the two cooling towers at Pottstown. I made my calls for New Garden and worked my way into a very busy pattern. I was number two following my hangar mate in his Turbo Saratoga and there was a Bonanza number three. I made a nice landing and made the midfield taxiway, one of my goals for working on the short field technique. As we all taxied towards the north hangars the fuel line was stacking up. Most of the aircraft waited in line clear of the taxiway, all except for the silver Cirrus. He shut down and his passengers were out having a gab fest as if they were meeting up at a flea market. UGhhhh....I motioned that I was trying to get by and they looked at me then turned around and continued to gab. OK, no problem, I added in some throttle to get their attention and squeezed by hanging the right wing out over the grass. The pilot was chit chatting with the person fueling and his head popped out immediately, the three ladies that were flapping now stood at attention looking at me...I smiled and waved as I went by. Ok, I muttered jackass but I was by myself and I did not hit the PTT. I never claimed to be PC about anything. The battery minder purchased before Christmas arrived, so a trip to the airport was in order. I sent a text to Vince and he was available to fly, the plan was beginning to taking shape. New Garden was quiet this morning so we took a leisurely drive around to scout out potential warm bodies that may be lurking about the airport, there were none. Ok, none that we could see. I parked the SUV and we opened up the hangar so we could tug 08Romeo out into the sunlight. I completed the pre-flight and Vince did his own, good practice for the future aviator. Vince waited for 08Romeo to start before closing the hangar doors, no sense pushing them around a second time for no good reason. I pulled the power back and as we briefed Vince would approach from the right side rear to board. I pulled the heat right away so we could thaw and thanks to the Reiff heaters 08Romeo oil temps we well into the yellow just shy of the green operating range. We agreed that Vince would handle the radio work and I would do the take off and flying. With the run up completed we launched off of two-four. It wasn't a bad looking day from 2,800 feet above the earth. 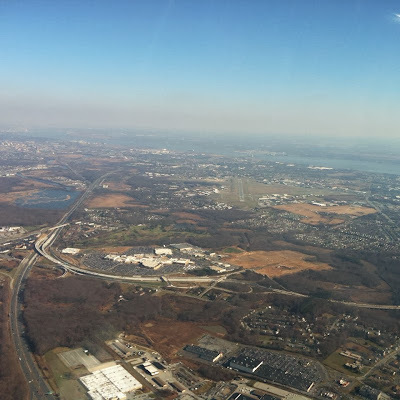 We crossed Wilmington's airspace (2600) and headed across the Delaware River for New Jersey. PCAS had one target that Vince called out at our three, same altitude and parallel course, it looked like a lear jet that we heard depart ILG. As the jet turned north heading towards Philly it was now converging, I descended to 2000 and we watched the jet pass in front of our nose a few miles out and now above our altitude. The flight was to knock off some rust and make a landing or two. I entered the pattern at Millville, KMIV, and did one full stop on runway two-eight. I taxied back and handed controls to Vince for his take off. I would do the radios and he could get some flying in. He needed a bit more right rudder but overall a nice smooth climb out. Of course the standing joke is that Vince always gets to fly the headwind leg, he didn't complain, he just reminded me. Yes he had the headwind leg, I was enjoying 135 knot ground speeds and he was trudging along fighting a thirty knot headwind just off our nose and clipping along at 85 knots. Indicated airspeed was 115-120, and the Garmin 496 winds aloft confirmed the winds at three thousand. We both picked out New Garden just inside of eight miles or so and I made the proper calls. I entered the pattern on a left base for two-four and made one of my best landings to date rolling 08Romeo on the deck so soft it felt like we were still flying. I'm finally getting the winds here and the hump in the runway, now if I could make the first turn off. We made a fuel stop and brought the total fuel to 42 gallons before heading to the hangar. With 08Romeo tucked inside we covered up and plugged in the heaters then opened the BatteryMINDer box. It seemed pretty basic, a plug and play of sorts. I didn't get the rings in the shipment, apparently they no longer send those as part of the package. I had to open 08Romeos battery box, two snaps clips, and use the alligator clips. 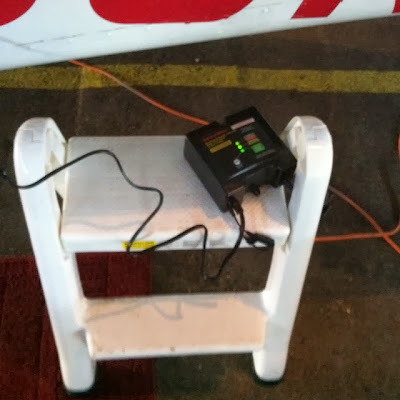 I brought along another extension cord and we eventually ran the cable through the vent window and set the batteryminder in the baggage compartment on the battery box lid. The original plan was to leave the unit outside the plane and run the cord through the baggage door but I didn't like the cord getting squeezed so tight and possibly damaging the unit. All the lights checked out and the unit went into the maintenance/ pulsed de-sulfation mode. I am going to order the ring set this evening so I don't have to open the battery compartment. I tried to get some flight time in but my batteries had other plans. After pre-flight and pulling 08Romeo out of the hanger Saturday afternoon I got two blades then clicks. I'm not a happy camper. Today I brought along my battery charger for a 12v system. I have two batteries in my Sundowner so my system is 24v. As in the past I removed the plate connecting the batteries and charged each battery individually. In the mean time I drove around the airport looking for life but the wx was really turning worse so the place was a ghost town. I did see one guy starting his Cirrus and I guess he had the same thoughts as to getting the oil pumping if he couldn't get in the air. The charger did it's job and with the wx looking better I swapped to battery number two for its charge time. As Vince reminded me yesterday a watched pot/battery never boils/charges. Yeah yeah, I get it, I'm just not long on patience. With the blue sky peeking through I was thinking we may get some flight time in with a quick local hop then home, enough to get a few landings in. As the green light came on to signal charging complete, the wx decided to cover the field. Low clouds were blowing through almost like a ground fog but not quite as low. We fired up 08Romeo anyways and taxied to the other end of the airport and back, even making a loop around the hangars. I did two run-ups and taxied a bit more until the oil came up to its normal position on the temp gauge then taxied back to my hangar and shut down. I ordered a new 24v battery minder when I got home. The VDC Model 24041-AA-S2 Plug n Run Aviation Specific 24v Maintenance Charger - De-Sulfator - Conditioners is approved for use on Gill and Concorde Aviation batteries. This 24 volt unit is similar to model 24041-AA-S1 except for its Plug ‘n Run feature, eliminating the need to set neither the output current nor battery type, before operating. This feature is of particular importance if any person, unfamiliar with the setting requirements, is involved in maintaining the battery. Instant alternator condition at the push of a button. 1 year 100% money-back guarantee + five (5) year "no hassle" warranty. We had a follow up snow, maybe 3 inches on Tuesday the 10th. I used the shovel and with one hand made a pass back and forth until the driveway was clean. I bagged a day of work so I didn't have to drive in it or be stuck in the office. My co-workers made all the "sally" jokes when I returned on Wednesday. I'm pretty thick skinned so I enjoyed the laughs and only countered with I was home with my Bride, you all were stuck here with each other, the laughs came to a halt. It's the weekend and once again we have snow in the forecast. Calling for 1-3 inches this afternoon, just enough to make me have to clear the driveway. Mary and I had a few errands to run this morning so we could make pizzelle cookies this afternoon. With the 'to do' list completed we are in for the rest of the day. It's time for my annual year in review and a look forward to new goals for 2014. I know I still have the remaining days in December to hit my magic 100 hour mark but wx will dictate the mission and therefore I only see a few hours added to my 75 hour total. The one bright note, I did bust 800 total hours and now sit at 820!! As was 2012, this year with Mary's health issues made for a very slow travel year. The one long trip to Key West that would have helped the totals was so much cheaper to fly commercial that we decided to keep 08Romeo parked. Mary's Mom passed in March which really took a toll on us both. I can still picture Mom in the back seat of 08Romeo with the headset on just taking in the view. My second Mom for sure, not many son-in-laws could say that. Mom L always voiced her opinion and I loved that. I still miss her stopping by and going out to dinner with us. Mary and I also lost one of our dear friends in aviation. Bo Boggs passed in May and that really affected my flying. Bo was the very inspiration for this blog and was always a mentor for me when it came to aircraft maintenance and cross country flying. I miss ya' buddy. Maggie also left us this year in April and that came as a shock too. Maggie muffin had just turned eight, she was a loyal dog with a loving disposition and adored Mary. I hope our Ziva girl can measure up to Maggie's legacy. The one bright note this year was the new infusion treatments for Mary's migraines. We are starting to see a little progress with their severity and honestly, her health is what is the most important issue at hand. We did make a change and left our tie down at Wilmington's Red Eagle Avionics. We are now in a hangar at New Garden (N57)and I must say 08Romeo has responded very well to her new digs along with two spa days for wax and being pampered. From the 2013 wish list 08Romeo was upgraded to WAAS for the Garmin 530 and the Collins transponder was replaced with a Garmin GTX327 which enables the Zaon PCAS to work flawlessly. I love having my traffic back! On the Beach front...The plan is to once again place the motor home in Ocean City, MD for the 2014 season. 08Romeo will be our main transportation and we hope to extend our travels for some additional vacation time. We are looking forward to a healthier year in 2014 for the both of us! Travel: Get back on track for 4 day get-aways and explore new locations! Mary and I had plans for a hop to Ocean City Maryland this morning, depending on how she felt. I was up early getting a final check on wx when I heard the shower running upstairs, I'm thinking the flight is a go. I finish up my routine and decide not to file today, instead I'm going to listen to some music and monitor Philly, Dover and Patuxent Approach. Mary is feeling somewhat better, slight headache but more sinus than anything else seems to be slowing her down. 08Romeo is already fueled from yesterdays flight so it's a uncover, pre-flight, tug out, park the SUV in the hangar, get Mary out of the SUV and on board the plane then fire up 08Romeo. I just love the Reiff pre-heats, oil temps just below the green and 08Romeo turns over like she's been running all day. Since New Garden is bumpy I utilize the short field technique each departure. A notch of flaps, stand on the brakes until RPM's come up then release. Holding yoke pressure back I'm quickly into ground effect and building speed. I give 08Romeo her head and climb out, once positive climb I retract the flaps and off we go. It's a smooth flight at 3.5 listening to holiday music on XM and enjoying the view. Dover didn't seem to busy but I did monitor as we made our way south. Eventually I switched to OC's CTAF and made my position and intentions calls to advise local traffic. Winds favored runway 2 so I was set for a nice transition to enter the left down wind and made a smooth landing. 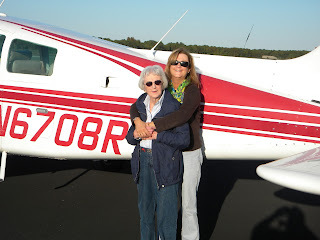 I secured the plane and Mary went in the terminal, she didn't need to be in any cold or wind. I walked through the terminal and out to the airport car, our VW Cabrio. Easy peasy, uncovered and started no problem then I drove to the terminal to pick up my Bride. We decided on driving up the coastal highway to Lewes, DE., almost an hour one way. It's still cheaper than renting a car at Georgetown (GED) or only have a couple of hours in the courtesy car. We made a stop at Lloyds market for Milton sausage, it's her Aunt and Uncles favorite so we always try to pick some up, I know I've mentioned the name in prior posts. After Lloyds we drove down 2nd street looking for parking but had no luck. I ended up parking in a bank parking lot that was closed today and it had an alley we found that went to 2nd street. Mary had called in our order to the Bake Shoppe this morning so we strolled in, the glass case was almost empty, but we knew we were getting the goods. The Lewes Bake Shoppe Ooey Gooey Sticks are tops! We also picked up some flaky pumpkin spice sticks (pictured left side of the box). We still hadn't eaten or had anything to drink this morning and with all the sticky buns, ooey gooey sticks and what not it was decided to find real eats. I turned and headed into town, crossing the draw bridge, looking to have lunch along the canal at the Irish Eyes Pub. Mary had cream of crab soup and crab bruschetta. Tomato bruschetta topped with crab meat, shaved parmesan and topped with balsamic drizzle. 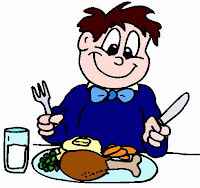 I had the Bangers and Mash, two sausages (Irish Bangers), mashed potatoes, cabbage and peas. We were stuffed! We loaded up our goods and decided to call it a day. I came north from OCMD along the coastal highway, I decided to go back to the airport by crossing SR1 and following RT9, passing by Georgetown Airport (KGED) clear across to RT113. I turned south and clipped along at a very brisk pace, but to no avail, it still took us an hour. The fuel truck was having PTO problems so I needed to self fuel before heading home. I taxied 08Romeo to the pumps and took on 20 gallons to bring me just a touch over the 20 a side to the slots mark, I called it 40 total on the Garmin 530. I taxied out to runway 2 and after completing a run up launched for home. The wx had changed a bit and the clear sky was everywhere around home but here at the beach it started to develop quite the layer. It looked to be around thirty five hundred or there abouts so off we went. I climbed to 2,800 and slowly watched the layer coming down, I stayed ahead of it down to 2,500 as I approached the Waterloo (ATR) VOR. I had already called for flight following as soon as I climbed out of OCMD, I knew I was going to need a pop up to get home or at least half way there, to the Dover area. The XM wx was showing clear north of Dover, it's been very accurate for me on previous missions. I contacted Dover with a request for a pop up to get into N57 and the controller once again asked me my type aircraft. Bravo Echo two three, /G, 4 hours fuel, 2 souls on board, level 2.5. Dover directed me to climb to 5,000 direct ENO (Smyrna), I acknowledged. I was just turning to avoid the layer closing in as he gave me the clearance. After looking at Marys face and the eye roll from the two souls comment to approach, I flowed into a new heading and was making my way towards ENO. I had to get my head in the game and chug and plug a plan into the 530. Looking across the Delaware Bay, under there somewhere. I was handed off to Philly and road along for only a short time. I elected to cancel since I was now breaking out into clear sky just as the XM on the 496 was showing me. I spotted N57 for a second straight day and made my calls for position. A smooth landing with a slight cross wind, two in a row getting home, and our beach adventure is complete. I would love to type more but there is a hot English breakfast tea and half an ooey gooey calling my name! I had been following a post on the BAC forum concerning heat in the cabin. 08Romeo makes good heat for the front but the two air outlets located near the feet of back seat occupants doesn't get real hot. Dave G had mentioned his approach to limiting the fresh air mix with the hot air. "I thought I'd close off this thread. Taping off the mixer valve fresh air intake duct (at the cowl side) has made a huge impact. It was unseasonably cold this morning (12F on the surface at takeoff) when my wife and I flew to Chicago. It was about 15F outside most of the flight. Once we got up to altitude (5500) and leaned for maximum EGT, WOW did we get heat. With the cabin heat full on, I was getting so much heat that the instrument panel was getting hot. It was actually uncomfortable to leave your feet forward on the rudders. Unfortunately, the heat doesn't get to the back of the plane very well. I had to leave the heat full on to make it tolerable for the rear seat passengers. I may have to fly in shorts in the winter. On the return trip (at night), the temps were about the same. It took a little longer due to headwinds, and we eventually got the plane warmed up enough that we were all comfy (OK I was dying of heat). I actually had to reduce the heat control and the OAT was about 14. I did try adding in the defroster. It moves a lot of very hot air, and is very loud. It definitely adds a lot of heat to the cabin, but I don't like to leave it on full since it heats up that windshield pretty good. Anyway, If anyone wants more heat in an old Musketeer, taping off that duct seems to do it." I taped off my fresh air vent on the lower cowl and it produced more heat and put an end to the cold air flow to the rear floor vents. My concern was being able to maintain enough fresh air if needed. I opened the vents on each side of the cabin and it blew ice cold. I should mention that the air at 3,000 yesterday was 22*F. The overhead vents still crank out fresh air since they are fed from a separate air intake. 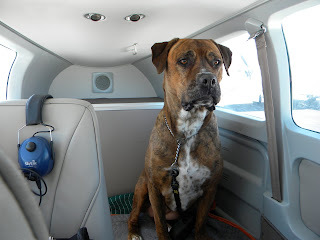 Vince and I did a test flight to Cape May for lunch and the cabin seemed much warmer overall. I think it's a combination of the restricted fresh air flow and the new cabin door seals replaced at annual. We still had plenty of fresh air when needed, which I turned on Vince while he was flying...hehe. He confirmed, it was COLD air. The real test will be tomorrow when Mary and I head to Ocean City for a day of cruising around in the beach buggy. We'll hit some shops at the outlets, the bakery in Lewes and enjoy the day together. We shall see how warm the plane review is. Thanksgiving is truly a day to give thanks, spending time with family and friends, enjoying the traditional turkey with all the fixins. We will be spending the day with my Brother Joe and his wife Janice in their new home. A special thanks to all who serve in our military and provide us the very freedoms we at home enjoy. May you be safe and come home soon. Since we are discussing Turkey Day and the fixins, I thought it would be a good time to mention the current hot topic in aviation, Obstructive Sleep Apnea (OSA). November 21, 2013 - Acting swiftly on the heels of major opposition to a recently announced FAA aeromedical policy on obstructive sleep apnea (OSA), a bipartisan bill was introduced today in the House of Representatives that would require the measure to undergo a formal rulemaking process with an opportunity for public comment before being implemented. The bill is sponsored by Reps. Frank LoBiondo (R-NJ) and Rick Larsen (D-WA), chairman and ranking member of the House Subcommittee on Aviation, along with Reps. Larry Bucshon (R-IN), Daniel Lipinski (D-IL), and Sam Graves (R-MO). The proposed sleep apnea policy, announced by Federal Air Surgeon Dr. Fred Tilton, would initially require all pilots with a body mass index (BMI) of 40 or greater and a neck size of 17 inches or greater to undergo screening for sleep apnea prior to certification. Dr. Tilton also indicated a plan to expand the program until "we have identified and assured treatment for every airman with OSA." EAA strongly supports the bill and urges its quick passage. A measure subjecting a similar rule in the commercial trucking industry to rulemaking passed both chambers unanimously and was signed into law last month. "Any policy this sweeping and potentially costly to our community must require input from all stakeholders before it is enacted," said Sean Elliott, EAA vice president of advocacy and safety. "We have consulted with highly knowledgeable and respected doctors on our Aeromedical Advisory Council and the message is clear: This is bad policy. We will continue to fight it on all fronts." Mary and I decided to leave our airport car in Ocean City MD at KOXB. So, this week we planned on a flight to the beach in order to top off the fuel, give the car a good run then cover and add a solar charger. Early to bed on Friday for an early morning flight today. One problem, Mary is so tired from the IV Migraine cocktail three days this week that she asked me to look for someone else to go. I sent a text to Mike but no response, I followed up with a text to Vince and he was ready to go. I picked Vince up and we headed to New Garden, I'm still getting used to this commute. The wind was blowing and the temps this morning were hovering around 40*. Vince blurted it out first, "how nice not having to roll up 300' of extension cord and preflight indoors". I couldn't agree more! 08Romeo was ready to fly, however, we first taxied to the fuel pump and added 22 gallons which brought us right around 46 for our total. With the sump completed we fire up and headed out to runway 24. I added a notch of flaps due to the bumpy runway and trying to get in the air ASAP. AT 1000' I turned on course and handed over the flying to Vince. It was a smooth flight at 4,500 cruising along at a ground speed of 145+, yes 145+ for the Sundowner. Indicated was sitting on 100 knots, love a tail wind. We monitored Dover for traffic and enjoyed the view riding south. Vince positioned us for a left down wind for runway 32 since winds were 340 at 11 gusting high teens to twenty knots. I took over on down wind abeam the numbers and squeaked in a nice landing making the first turn off. Hmmm, maybe New Gardens narrow short runway is honing the skills. We quickly secured the aircraft and headed into the terminal. I paid for the car parking until April 2014, $125 out the window in a blink. We uncovered the Cabrio and took her for a spin wanting to get the temps up to normal operating numbers. I also wanted to top off the tank with high test and add gas dry, which I forgot. With a short run completed and tank filled we secured the Cabrio along with adding a solar charger. We headed back out to 08Romeo and pointed her towards Cambridge, KCGE. All this work required a breakfast run! The winds were now off the nose and although it was still fairly smooth it was much slower. 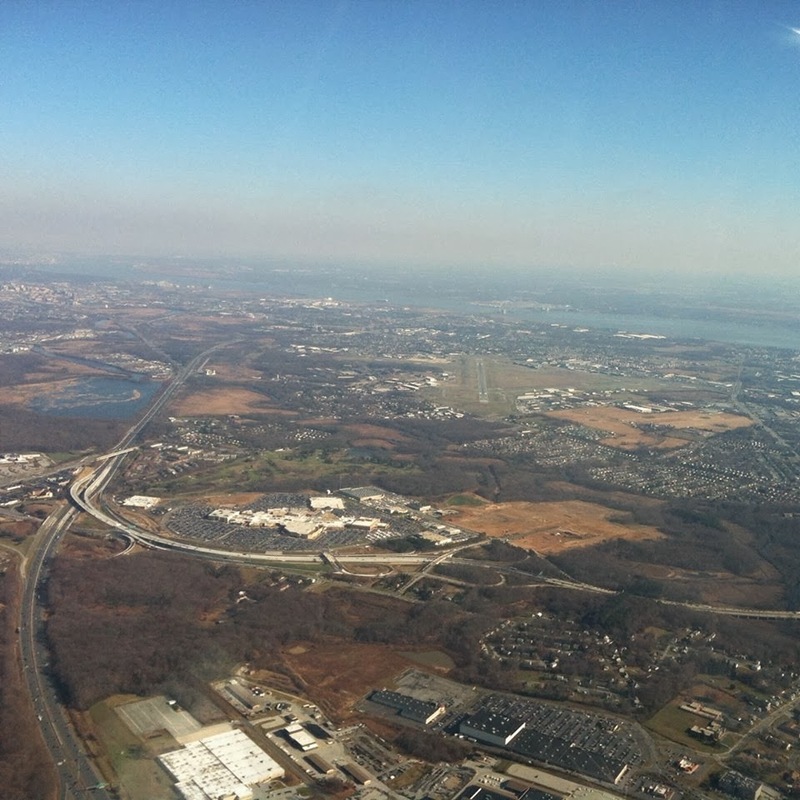 I did pick up flight following with Patuxent Approach since we were passing below Restricted area R-4006. I crossed midfield to enter the left down wind for runway 34 and followed with another greaser. There was room on the ramp today so I tucked 08Romeo on the back line so we could grab some eats. We timed it perfect and were quickly seated with a nice view of the ramp. 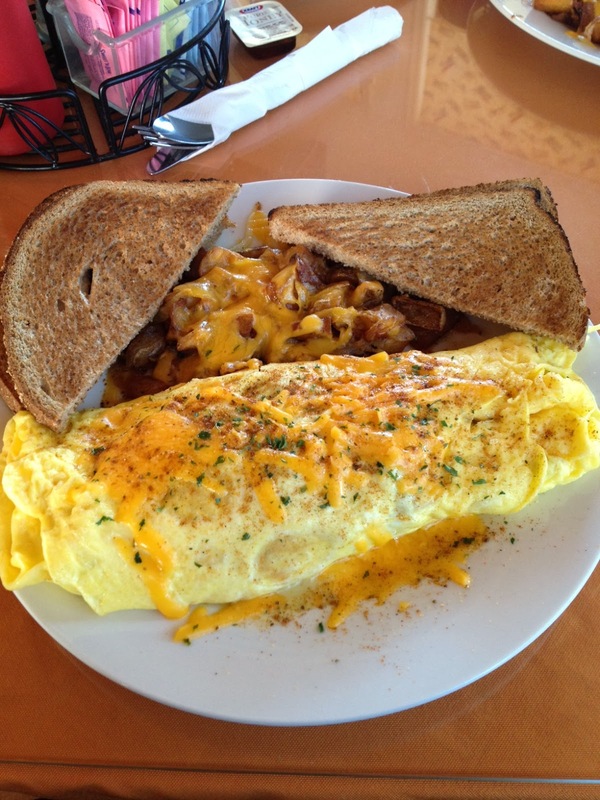 Breakfast was perfect, I couldn't finish the cheese omelette or the home fries, to much food. We waddled back to the plane and headed for home. Headwinds were brutal coming north as you can see by the indicated speed of 120 and the ground speed of 105. Don Sheldon has been called 'Alaska's bush pilot among bush pilots', but he was also just one man in a fragile airplane who, in the end, was solely responsible for each mission he flew, be it a high-risk landing to the rescue of others from certain death in the mountains of Alaska or the routine delivery of supplies to a lonely homesteader. Read James Greiner's Wager with the Wind to learn how a hero was born, and also how he made his courageous journey to the unknown skies of dealing with cancer. James Greiner is an author of children's books. Published credits of James Greiner include Rebelde Con Causa/Taking Charge and Wager with the Wind: The Don Sheldon Story. Wager with the Wind reminded me of the book Artic Bush Pilot. I found myself hangar flying, sitting by that fire in a cabin with Greiner as he retold the amazing stories of Don Sheldon's flights, missions of compassion and daring rescue. I could easily picture myself wide eyed and soaking in each event as he would provide every twist. Sheldon was a master of his craft, not just the aircraft, but the art of bush flying and dealing with weather and terrain. I started this book about a month ago then got sidetracked with work and Mary's health. Every night I would pick it up and set it down wanting to just sleep. This morning I picked up the book and took it to the hospital with me. I had plenty of time to read while Mary went through her infusion treatment for her migraines. I backtracked and started from page one. I knocked out 256 pages and wanted more. 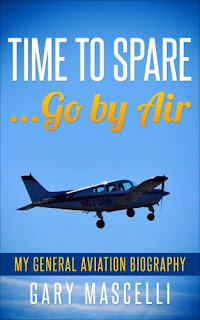 A very good read, easy to follow even though one event rolls into another and each flight leaves you wanting more. My annual started out like a typical work day, up and out with the dog then shower and go. I needed to get some fuel in my ML320 or I would be eventually coasting down I-95. I had agreed to pick up Vince at 7:15 and I pulled in front of his house at 7:14, it's a good day. We made a stop at Dunkin for my daily medium black tea, hot with sugar and a dozen donuts for the guys at the shop. When we arrived 08Romeo was already inside the shop. I uncovered and stored the pitot cover and cowl plugs along with the tail cone and airplane covers. I got the upper and lower cowl removed and then I assisted Keith as we started on the engine inspections and oil change. Vince helped Stan get 08Romeo off the ground and then went straight to work assisting with the wheel removal, inspections and bearing repack. Jeremy climbed inside and started removing the interior for inspection. 08Romeo had hands all over her, she was getting the full shop treatment, all hands on deck. Compressions on the cold soaked engine were 73/78/74/78. I removed the remaining plugs, cleaned them in the blaster then regapped, added anti-seize and new copper washers. All the plug wire connections get cleaned with MEK and that gets checked off the list. Once the wires were done I did the reinstall and torqued each plug to 35psi. Keith found a tiny crack in a exhaust bracket and completed the R&R on that. I checked every nut and bolt on exhaust, intake and oil return lines. The no-heat issue is resolved. I'm embarrassed to say when I removed the top cowl at the hangar to give everything a once over I did not see the hose disconnected from the muffler shroud, it was still hanging in the proper position. I guess I should have removed the bottom cowl to get a better look. Where is that smiley face hitting itself over the head with a hammer? Vince removed all the under-wing inspection panels and both of the wing tips. I had removed the tail cone this morning after the cowl was done. Upon inspection the brakes still looked brand new, replaced last year. The left side brake caliper was leaking and needed a new O ring seal. When taken apart there were some very light scratches in the caliper piston well that needed to be honed prior to repair. Bearing grease still looked fresh and plentiful but everything was cleaned degreased and repacked. Keith pulled the reset switch for the ELT and reconnected the blue wire to the switch. I can now reset from the outside using the little trap door about the size of a fifty cent piece if needed. Upon reinstall he left a DNA sample, it almost matched 08Romeo's red accent colors. It was a tight fit reaching in to get the switch in and out but as always Keith gets it done. All the lube points were addressed, control surfaces checked for operation and excessive play. Vince took care of the nose wheel removal, bearing repack and reinstall under shop supervision, he does nice work. After letting the filter drain most of the day it was cut open for inspection, it looked clean, no carbon or metal. That about did us in for day one, more scheduled for tomorrow. Day two is under way as we roll into the shop just after 8am. The temps have really taken a dip today and the winds are blowing. I'm so thankful to be in a heated hangar getting this work done. We picked up with final inspections and sign offs. Inspection plates were reinstalled, interior returned to its correct locations and batteries serviced. It was time to bleed the brakes and check for a leak in a line located near the wing spar that runs out to the right main. The fittings were checked and tightened since there was some gummy fluid remains on the wing spar inspection panel. I hadn't lost any brake fluid so the leak wasn't out of control but it did need more investigation. The system to bleed the brakes dialed up almost 200psi and the shop went over every inch of line and fittings before they passed inspection. I was relieved to hear the request for the spar cover. 08Romeo was cleared to be lowered to the floor. As the jack stands were removed and the final skirting around the mains buttoned up she was once again looking like a plane ready to fly. We opened the shop door and rolled her out for a run up and leak test. I jumped inside, it was nice to be out of the wind and cold. With several shots of prime 08Romeo came to life, it felt good to hear her running, purring along, ready to go home. After a good warm up I did a run up, gauges in the green, everything looked normal and sounded good. With the test complete we rolled her back in the shop and broke for lunch. I packed a lunch today so I ate my left over hoagie from yesterday while I ran to an auto parts store for wax. I purchased a bag of microfiber rags, Meguiar's/SwirlX swirl remover polish, Meguiar's/Cleaner liquid wax and a 6-Inch Orbital Buffer. I have a heavy duty buffer but I wouldn't want to use it and burn the paint. Instead the 6" will make applying the cleaner/wax easy and save my arms and shoulders. The key here is the SwirlX swirl remover polish, an awesome product! It's 4:30, Vince and I are heading home. No ELT battery or air filter yet today so it looks like we'll finish up tomorrow. I did get a text from Mary that my cabin door seals are in. Yay! I'll get those installed tomorrow, with pictures and then write the check so I can fly 08Romeo home. My body is sore from the waxing even though I think Vince did more of the hard work. It's 6:21 and I'm getting my day started with another hot shower since last nights shower didn't wash away the sore joints. My lunch is packed, the new door seals are ready to go and I managed to sneak some home made apple crisp Mary made for dessert last night, good stuff. Besides, the snack helps me take two Advil that should help the sore joints and torn tendon in the left foot. The shop is active as I pull up to park. I get started right away on my cabin door seals. I did check on the air filter and ELT, not on the UPS truck yesterday so I'm keeping my fingers crossed the parts get here today. I removed the door keepers so my cabin door could swing all the way open and lay against the cowling. It was labor intensive, first removing the old seal with all the scraping then wire wheel, carefully, then cleaning with MEK. Of course I forgot the after pictures.....must have been all the MEK fumes. UPS showed up with the filter and ELT battery, I'm in business. Keith did the ELT install and I knocked out the Brackett air filter. With everything completed the final invoice was tallied. Pre-flight and run up went fine. I launched for New Garden and road out the bumps in the windy conditions. I actually made my best landing to date getting home. The winds were crazy coming over the valley at the runway two-four approach but I was ready and went with the flow. I tucked 08Romeo away, heater plugged in, plane all clean and shiny just waiting for our next adventure. Jean, thanks so much for the ride back to 58M-Elkton, you saved my bacon today!